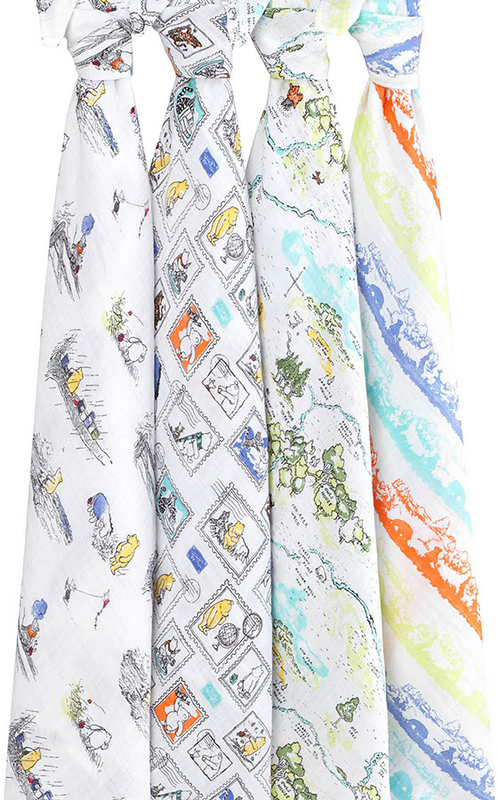 Combining the magic of muslin with the wonder of Disney, these swaddles feature whimsical vignettes from Winnie The Pooh. Breathable, versatile and soft as a mother's touch, our 100% cotton muslin swaddles simplify what can be a chaotic time. No matter how you're using them�strollercover, burp cloth or nursing cover to name just a few�they surround your little one in comfy goodness round the clock. 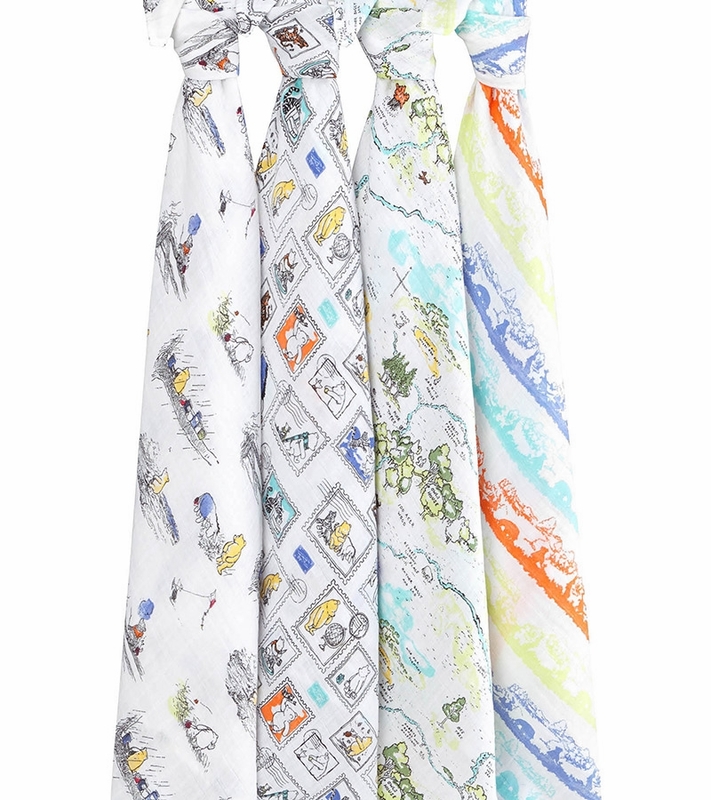 Fast shipping of a beautiful product that perfectly coordinates with my newborn sons nursery - no complaints here! Great quality of materials, these swaddles feel great! We will be using these in a variety of fashions including blankets and stroller shades. Great product.